Social Security Disability Insurance provides monthly payments to more than 10 million people. Supplemental Security Income disability benefits reach a partially overlapping group of roughly seven million. Testimony of vocational experts is central to a large number of the hearings that help allocate these benefits. Yet, remarkably, the Supreme Court has had almost nothing to say about how vocational experts operate. That is about to change. On December 4, the Supreme Court will hear argument in Biestek v. Berryhill, which asks the court to decide whether an administrative law judge may rely on the testimony of a vocational expert who refuses to provide the data underlying her or his opinion. The justices’ decision will have enormous practical implications for the determination of eligibility for benefits. It also will send an important signal about the seriousness with which the court takes adjudications of eligibility for benefits. 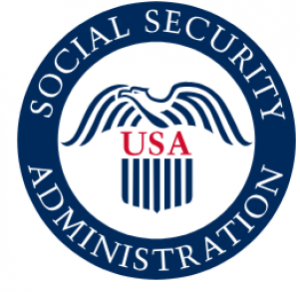 The Social Security Administration determines disability with a five-step sequential process. After a relative handful of claims are rejected because the claimant is working or has no severe impairment, and a larger but still modest share are granted because the claimant has one of the devastating conditions on SSA’s “Listing of Impairments,” a large fraction of cases come down to the final two steps. First, at step four of the disability-evaluation process, the agency must determine if the claimant can return to “past relevant work.” If not, step five of the process requires the agency to decide whether the claimant can perform any other job that exists in substantial numbers in the regional or national economy. Only if the answer to both of these questions is “no” may the claimant be found disabled. The inquiries at steps four and five commonly have a rather surreal character. By the time they reach that stage, many claimants have proven serious impairments that all but ensure that no employer would hire them. However, SSA’s rules base eligibility on whether the claimant could do a job, not whether she or he would have the chance to do so. For those claimants with only exertional impairments – restrictions on how much they can stand, walk, lift and carry – SSA can determine whether the claimant can perform other positions using its medical-vocational guidelines, or “grid.” The grid, which the Supreme Court upheld in 1983 in Heckler v. Campbell, dictates positive or negative eligibility decisions for various combinations of exertional limitations, age, education and occupational history. For cases involving non-exertional impairments, the grid can still support a finding of disability if the claimant’s exertional impairments are disabling by themselves. If they are not, the grid cannot resolve the case. In these cases, SSA must turn to a vocational expert. A vocational expert is often a professional employee of an employment service or occasionally a labor economist at a local college or university. Researchers have found wide variation in the qualifications and skills of vocational experts. The vocational expert’s testimony about the requirements of various jobs largely determines the outcome of the case. Experienced claimants’ representatives might well prefer a favorable vocational expert and an unfavorable ALJ rather than the opposite combination. Vocational experts commonly testify by telephone. The ALJ typically poses a series of hypothetical questions to the vocational expert that reflect findings about the claimant’s impairments that are plausible given the medical evidence, asking the vocational expert if jobs exist that the claimant can do if the ALJ finds a particular set of functional limitations. If the vocational expert answers that sufficient jobs exist that could be performed by someone with the stated limitations, the ALJ’s determination that the claimant has no further impairments is sufficient to justify rejecting the claim. The vocational expert’s testimony typically is quite conclusory. Expert claimants’ representatives seek to impeach the vocational expert with descriptions of the jobs in question from the Department of Labor’s Dictionary of Occupational Titles. A great many claimants, however, are unrepresented or have less sophisticated advocates, and on many crucial questions Department of Labor publications are silent, leaving even the best claimants’ representatives with few means of challenging the vocational expert’s statements. Claimants’ representatives rarely bring their own vocational experts, both because of cost and because they assume that the ALJ will credit the vocational expert whom the ALJ hired to testify. Michael Biestek spent his career doing construction work, some as a laborer and some as a carpenter and brick-layer. At age 46 – in 2009, just after the official end of the recession – he stopped working and subsequently applied for SSDI because of degenerative disc disease, hepatitis C and depression. After a long and tortuous administrative process, SSA found him disabled effective May 4, 2013, his 50th birthday. On that date, SSA’s grid regulations classified him as “closely approaching advanced age” and dictated a finding of disability based on his exertional limitations. Biestek appealed, challenging the denial of benefits for the three and a half years between his discontinuing work and his turning 50. Because the grid did not dictate a finding of disability based on Biestek’s exertional limitations alone, his ability to receive benefits for this period depended heavily on the testimony of a vocational expert. Based on hypothetical questions from the ALJ positing a particular set of exertional and nonexertional impairments, the vocational expert testified that Biestek could perform two jobs: bench assembler and nut sorter. The vocational expert asserted that these jobs were relatively plentiful in the national economy and in southeastern Michigan, where Biestek lives. On cross-examination, Biestek’s lawyer asked the vocational expert for the data to support these conclusions. The vocational expert refused to provide the data, stating that she was relying on information in her clients’ private personal files. When the lawyer asked that those files be redacted so that they could be submitted into evidence, the ALJ refused to require that the vocational expert do so. The ALJ went on to hold that Biestek was not eligible for disability benefits for the three-and-a-half-year period at issue. Biestek challenged the ALJ’s finding in federal court, arguing that the ALJ’s refusal to require the vocational expert to disclose the data supporting her conclusions deprived him of any meaningful opportunity to test the evidence that effectively decided the case against him. The district court and the U.S. Court of Appeals for the 6th Circuit disagreed. In Richardson v. Perales, the Supreme Court in 1971 upheld SSA’s reliance on hearsay in disability determination hearings by noting that the claimant had the ability to subpoena the witnesses to the hearing for cross-examination. Since then, courts have allowed SSA’s disability determination process to proceed with considerable informality, with the safeguard that claimants could invoke more formal procedures if they believed that this informality had prejudiced them. Biestek will test whether that model retains vitality. If vocational experts’ conclusions can effectively doom a claimant without being subject to meaningful cross-examination, the Supreme Court will have significantly changed the paradigm for SSA’s disability determinations. A decision against Biestek also could spark congressional calls for SSA to establish clear standards for the qualifications and expertise of vocational experts to improve the quality of their opinions overall if those opinions will not be subject to effective scrutiny in individual cases. The other major components of the disability determination process – ALJs and medical experts – are subject to standards. Even claimants’ representatives are subject to some modest SSA oversight. Upgrading vocational experts, however, likely would come with a considerable cost.